Greetings friends and fellow crafters. LeeAnn here with my post using the Christmas Swirl stamp set (coming soon) from Skipping Stones Design. I had fun with this set and I will get busy here and let you know how I did it. First thing I did was gathered my materials. 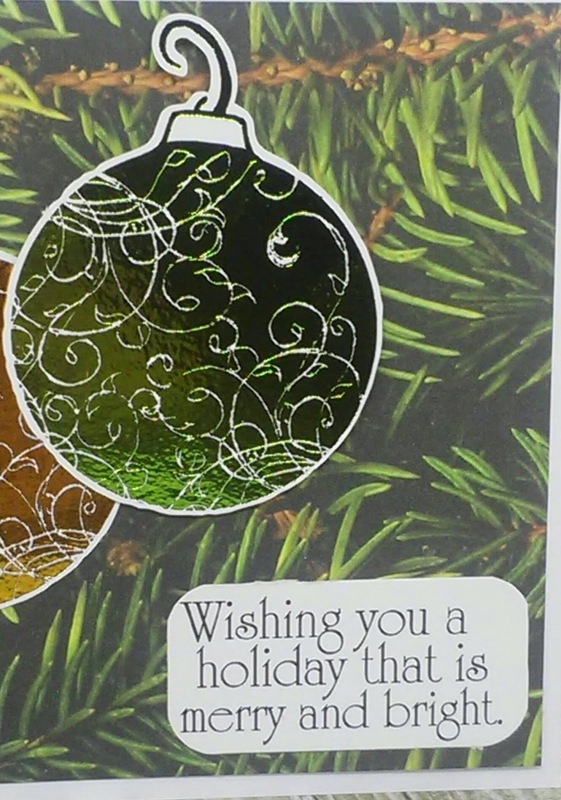 While I actually used a digital image of the Christmas Swirls stamp set, this could have easily been done with the true stamp set as well. 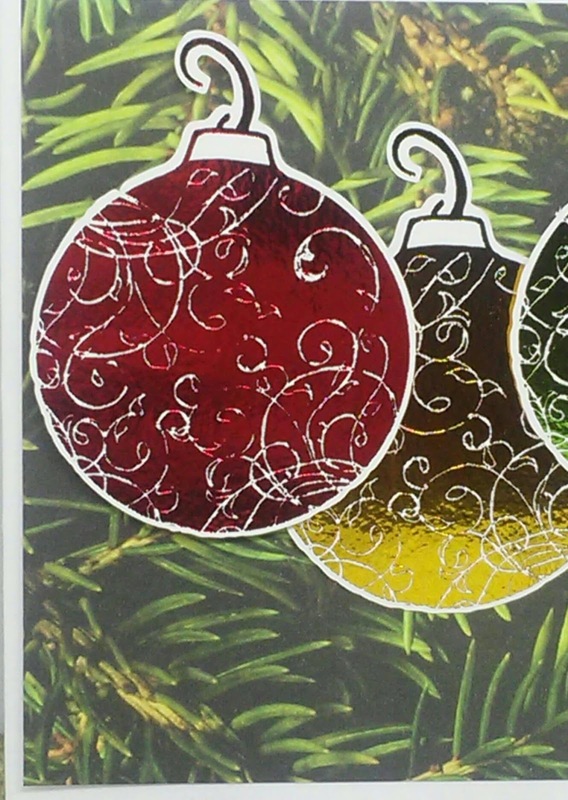 After printing the stamp set image 3 times with a laser printer, I used my Brother Scan N Cut 2 to cut out the images as I knew i wanted 3 of these Christmas ornaments. I then cut 3 squares of Deco Foil Foil Mates to fit the images while allowing my Scotch laminator to warm up. Once the ready light was on, I covered the balls with the foil and sent them through the laminator twice. Once they came through the second time I removed the foil to reveal these beautiful images. Using some fun pattern paper from my stash I arranged the ornaments the way I wanted them to appear as hanging from the pine boughs. Using Tear It! Tape I attached the pattern paper cut to 4" x 5.25" to the 4.25" x 5.50" card base. I also used Tear It! Tape on the Gold, and foam adhesive on the Red and Green, I attached the ornaments to the base. Tear It! Tape was used on the sentiment and my project was then complete. 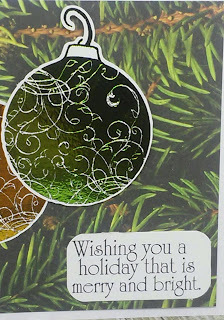 I have attached here close ups of each side of the card. I love how the detail came through the foil on all three of the ornaments. Now, as I said this could have been done with the stamp set just as well. There is a great product called Deco Foil Gel. 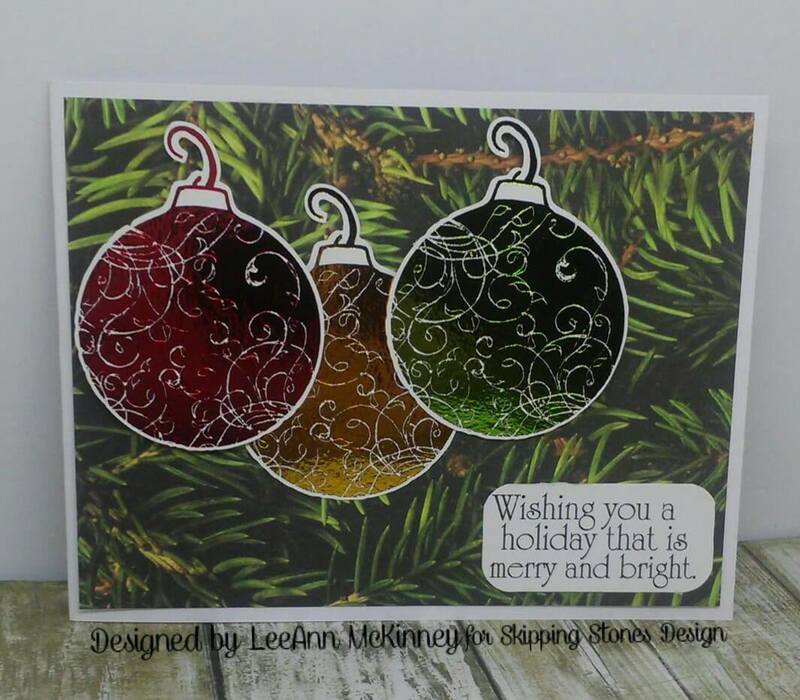 By spreading a small amount on an acrylic block you can use that to simulate a stamp pad, then ink up the stamp and stamp it on your paper, allow to dry. Once dry add foil and send it through the laminator.